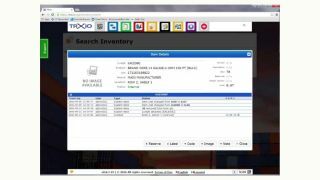 TRXio, Cairnstack Software’s AV-industry-specific inventory management and asset-tracking service, has announced new features and software updates, including serialization, reserving products, moving bulk, creating projects, and viewing item details and history, all fulfilled within TRXio. The latest feature updates to TRXio make it more efficient than ever to add multiple items into the asset-tracking solution with new serialization capabilities. Users can quickly add, remove, or update serial numbers to the “Add Inventory” tab and upload multiple serial numbers at one time while printing multiple labels. The updated software allows users to reserve single items or a master carton for a particular order, and unreserve the items once it’s time to add them to an order. Moving bulk items with TRXio has been made simple, as users can add a product as they typically would, select “Bulk” and enter the quantity. Once a bulk item is created, users can transfer the item internally to another location or transfer externally to a customer, while selecting the entire bulk quantity or choosing to split the quantity. In addition, users can now create projects within the software to keep a complete listing of orders associated with a job. New orders and previously created orders can be added to projects by simply selecting the previously created project from the pull-down menu. Lastly, TRXio created an “Item Details” screen to view the full history of an item throughout its entire lifecycle. Users can quickly view item details and history by scanning or entering the LiveQR code into the field at the bottom of any TRXio page, or clicking the blue-highlighted LiveQR code within the software. Item Details provides the LiveQR code, product name, lot number, company or distributor of origin, current location in inventory, status, serial number, quantity, timestamp, users, notes, and more, all with the click of a button.